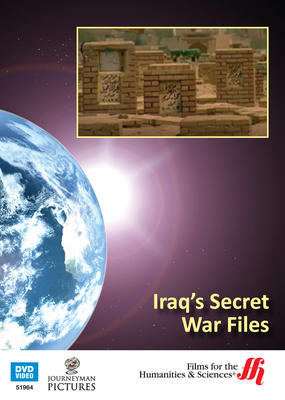 Find out what the government didn't want the public to know about the Iraq War from the very classified documents they tried to keep away from the people. The information that the public was given about the Iraq War proved to be far different from reality once WikiLeaks released thousands of pages of classified material about it. Almost 400,000 reports from the military were leaked to reporters from WikiLeaks, and the picture these reports painted of the war in Iraq shocked the media as well as the public. The number of civilians being killed at checkpoints was just the tip of the iceberg when the secrets came pouring out of a flash drive full of military reports was leaked to the British news show Dispatches. After collaborating with the Bureau of Investigative Journalism, they were able to analyze the immense amount of data from the reports and discover what was really happening in Iraq.